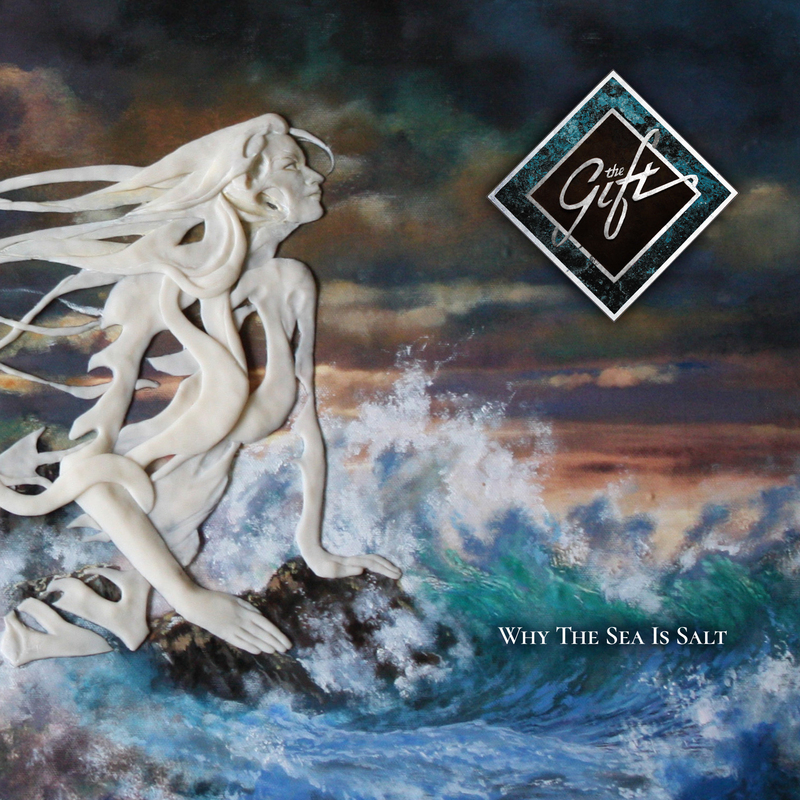 Let’s get straight to the point – ‘Why the Sea is Salt’ is a truly exceptional album, and deserves to propel The Gift in to the higher echelons of current British Progressive Rock Music. Simple as that – it really is that outstanding. Very few albums indeed have the potential to attain the status of a potential ‘classic’ album, which will live long in the memory like ‘Why the Sea is Salt’. This is a work which greatly appeals to the heart and mind in equal measures, and similarly beguiles and stimulates in its beauty and drama. This album is a considerable step up in ambition and achievement by a band that has evolved very significantly over the last year. 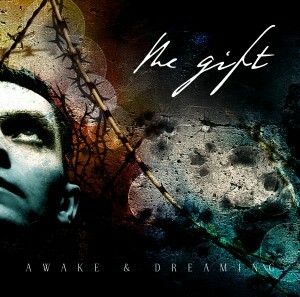 Commencing as a studio project by Mike Morton and Leroy James in 2006, The Gift released promising debut anti-war album ‘Awake and Dreaming’, then went to sleep for a few years due to other life commitments. Morton then teamed up with talented song writer David Lloyd to re-form The Gift and record the excellent album ‘Land of Shadows’ in 2014 as one eclectic label Bad Elephant’s first ever releases (The third to be precise). 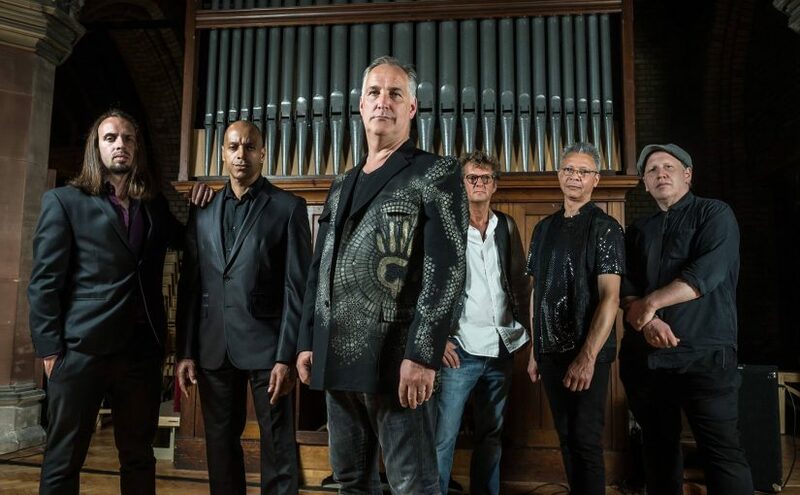 This hard working band has been playing live over the last couple of years to develop their sound, skills and audience at venues across the UK and even a first trip to Europe in 2014 to play in the Netherlands. Stalwart Stefan Dickers has been their rock on bass for that period. They successfully appeared at last year’s Summer’s End Festival in Wales, and it was clear then they were on an upward trajectory. The Gift have wanted to take a different and more ambitious musical approach requiring some changes in personnel, with no disrespect to their able predecessors. 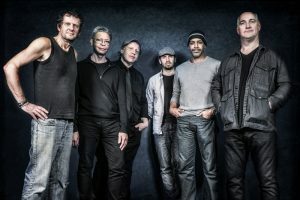 They recruited new drummer Neil Hayman from BEM label mates progressive hard rockers, Konchordat. He definitely adds more experience, creativity and power to the band. Leroy James also ‘came home’, rejoining the band late in the writng process of this album and just before recording started, adding his deft guitar skills and a more rock oriented approach to David Lloyd’s subtle flowing guitar work. The last but possibly most significant piece in bringing The ‘New’ Gift Jigsaw puzzle together was the recruitment on keyboards of an Italian bona fide Classical Music star, Gabriele Baldocci, who performs piano recitals around the world, alongside teaching at the Trinity Laban Conservatoire in Greenwich. 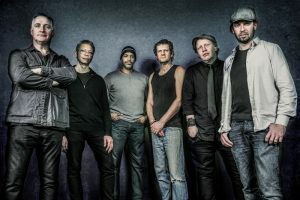 Morton heard that Baldocci loved Genesis, Queen, Yes, Beatles, Crimson, Camel and Tull, and wanted to use his classical skills in a progressive rock band. 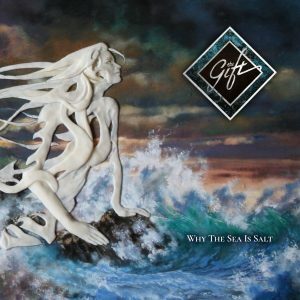 The Gift were delighted to recruit him, and on the evidence of this album it is clear that his undoubted incredible keyboard skills, eminent classical background and love of great rock music adds something really special to the mix. He is a real gift to The Gift! 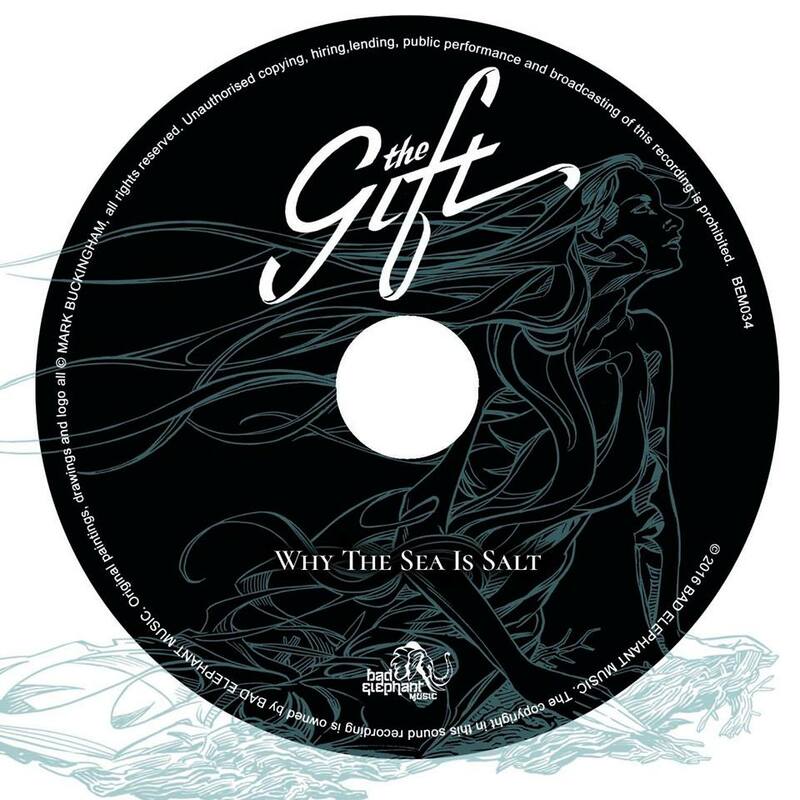 ‘Why the Sea is Salt’ is a rich presentation of musical styles and sounds, social commentary, mythological references, and touching expressions of personal feelings of loss and mourning. This is an album with very strong and distinctive individual songs. 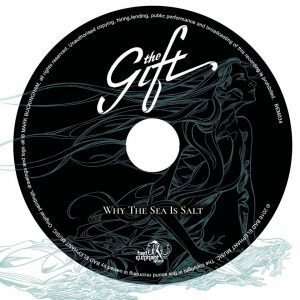 However, ‘Why the Sea is Salt’ has even more impact if consumed as a whole with lyrical and musical themes threading through the tapestry of the album, producing a remarkably consistent and resonant piece of work. The focus is upon man’s sad disconnection from life’s real meaning, with the poetic sense that in human existence our collective tears ‘salt’ the sea. This description may make it sound like a ‘weighty’ piece of work, but crucially The Gift never forget that the Song is Key, and it is filled with memorable melodies and harmonies which make it accessible, entertaining and interesting for a wider audience. In fact, this album is notable for the balance between lyrics and music. They compliment each other, but crucially the lyrics allow enough space for the music alone at times to breathe and convey the spirit of the song. It is unusual for this reviewer to share such a personal memory in a review, but it is done to show how The Gift’s lyrics and music can truly touch the listener. Such is the simple beauty of the music and honest expression of deep emotions, which will touch many listener’s hearts, that it seems clear this song could become regarded as a classic. To go back to the album’s beginning, ‘Why the Sea is Salt’ commences aptly with the suitably nautical and mythical At Sea, premiered to great acclaim at the recent ‘Power of Three’ gig in London. Mainly written by David Lloyd, this acts like an overture for the album as Gabriele Baldocci shows his classical piano excellence with a softly undulating piano solo with hints of Ravel as we start our musical voyage, leading onto Lloyd’s gently floating guitar. Like a sudden storm rising, the tempo and power suddenly builds with Hayman pounding away and Baldocci running a sinuous synth line above the backing in a scintillating instrumental section. The guitars and keyboards intertwine to great effect, and then Dickers’ melodic bass line leads us into a short but expressive guitar solo, before we settle back into a piano section… and after six minutes a ‘Becalmed’ singer Mike Morton finally enters the fray. Quite an opening to an album. This is Morton as Greek chorus with sonorous but vulnerable vocals, setting the scene including some mythic images (… but have no worries, this album is no corny ‘sword and sorcery’ epic!) The finely judged concluding guitar solo completes the ‘overture’ and takes us on into the main body of the album. The Gift next take us into a horror story with Sweeper of Dreams, a baroque intro leading into a powerful song full of characterisation reminiscent of Alex Harvey. This is a dramatic ‘story’ song with lyric writer Morton singing menacingly in character as ‘The Sweeper’. One can only imagine what Morton will do to portray this scary character in concert. Baldocci and Morton wrote the majority of the musical themes, Gabriele showing that he can really rock alongside his classical skills, as the song alternates between hard rock and scary ‘evil clown’ carousel sounding interludes. Writer Neil Gaiman was pleased to permit The Gift to use the theme and name of one of his short stories for this song. Fittingly, the images evoked by the memorable music and lines such as ‘Dispose of the Debris, Lying around in your Brain’ may well enter the dream worlds of many listeners. Alongside such insightful and emotive lyrics this song of redemption and self-realisation is also expressed perfectly with finely crafted music as the bass and drums deftly back Lloyd’s flowing and sensitive concluding guitar solo – demonstrating the skill of The Gift in marrying words and music together with skill and insight in conveying the ‘feel’ and message of a song. The main inspiration for the album title ‘Why the Sea is Salt’ comes originally from a Norse legend in which a man finds a mill that grinds out anything he wants. However, he gets too greedy, and when he asks it to grind out salt for his food, the power behind it grinds endlessly, swamping him and everyone. The mill then falls into the sea, where it still churns, thus making the sea salty. This mythological source is re-interpreted by The Gift on this album as modern man’s greed for ‘stuff’ which consumes and hurts us. Nowhere is this better expressed than on the epic song cycle of All These Things, a piece largely written mainly by Lloyd and Morton. Apparently this song cycle was originally called Black Friday but that title was felt to be too specific as the piece had a wider perspective. Lloyd’s love of Jethro Tull and early Strawbs is demonstrated by the opening acoustic guitar and vocal harmony section in The Vow, portraying marriage as a transaction, a swapping of rings, underlining society’s pre-occupation with possessing things, including each other. Church organs resound as a slight dig at organized religion before we flow into the Harvest of Hollow. The use of understated flamenco guitar shows that The Gift are not afraid to stretch their boundaries. Indeed, it appears that this is a band who wanted to avoid simply repeating previous patterns as they used previously unexplored sounds and styles. ‘So which of us is satisfied? Tell me, are you satisfied? This song cycle takes an ever darker turn as we enter Feeding Time in which The Gift have never sounded so brutal and menacing with an angry and coruscating guitar duo between David Lloyd and Leroy James – the instruments cinematically telling the story as powerfully as any words. In contrast, the next lilting section The Jackdaw, Magpie and Me commences with bird sounds and a gentle acoustic guitar motif as Morton intones with such clarity about the selfishness and emptiness of collecting things trinkets like magpies. Dickers and Hayman’s subtle bass and drums underline the piece with skill, showing that they are not all about power. The animal imagery is carried on into the gentle re-birth or turning point of the Swan and Butterfly section, with perhaps even a subtle or subconscious reference to previous album’s highlight The Willows. The lyrics encourage the notion that if we reconnect with Nature, both its external aspects and our inner selves, we have no need to complete ourselves through ‘things’. The gentle pastoral feel of this section with piano and flute sounds accentuate this as a more meditative section in which the song’s protagonist realises he is as free as creatures of both water and air if he chooses to free himself of the distractions of the media and possessions and reconnect with the earth he walks upon. As this reviewer is rather melancholic at times I did have some initial reservations about the finale to this song section as Heartfire concludes this piece on a more celebratory almost hymnal note, an echo to the ecclesiastical hints in the opening part, The Vow. However, with repeated listenings it became clear that The Gift were right to conclude this remarkable song cycle with a more upbeat conclusion after the gentle pastoralism of the previous section. Morton urges us to ‘come to your senses’ , encouraging us to let the world outside fill our senses because there is enough joy and thrill in those experiences to keep us fulfilled all our lives. Cleverly, all five senses are lyrically engaged with the sight of ‘silver cloak of winter’, the touch of ‘summer heat’, the ‘taste of joyful tears’, the ‘scent of gardens’ and hearing ‘whispers in the dark’. These positive feelings are evoked by sun filled backing which skips along with a joyful synth line, and harmonic backing vocals, concluding ‘Take Heart’. In the legend the man’s infidelity breaks Ondine’s heart, and in this song Ondine’s heart is broken by Man’s treatment of the world. 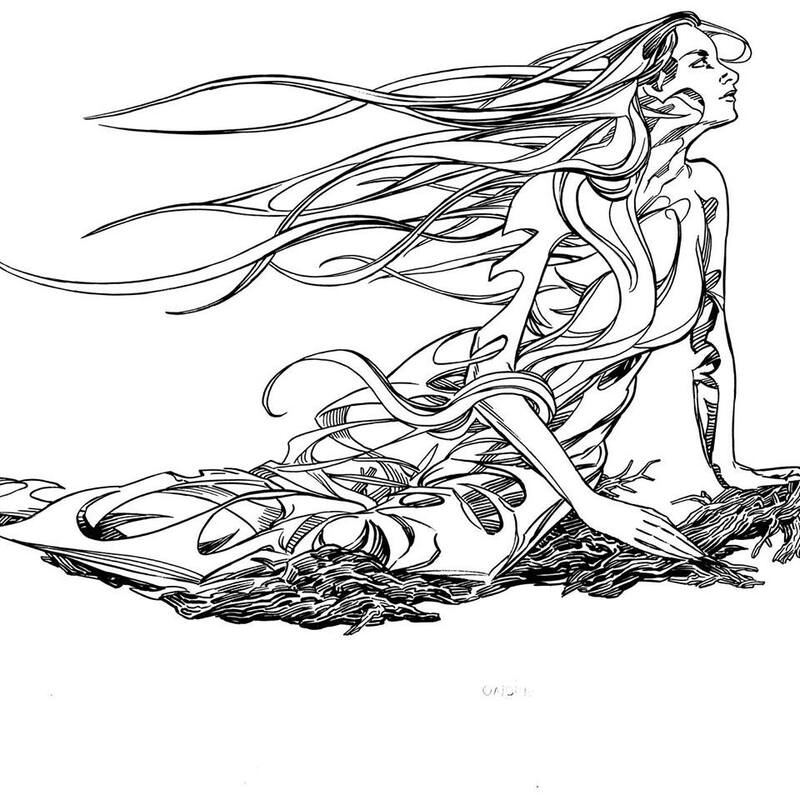 Her sorrow and man’s sorrowful salt tears run into the oceans. 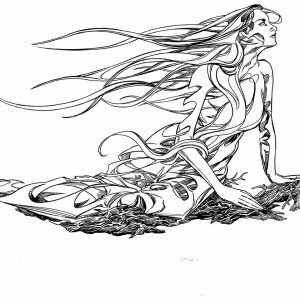 Once again the music sensitively expresses the flowing almost wraith like feeling of this piece. The Gift have really stepped up a few levels with this remarkable album. They have not stretched the boundaries of music – very few artists truly do that. 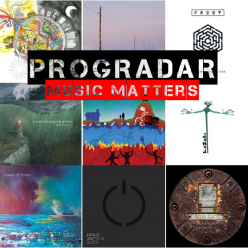 What they have undoubtedly done is skilfully and beautifully draw upon a variety of influences, inspirations and ideas and artfully crafted them into an imaginative and enjoyable musical experience that touches the heart and stimulates the mind. What more could one want from an album?! Do yourselves a favour and just go and buy it! On the 13th of February UK progressive rockers The Gift will be be re-releasing their seminal first album ‘Awake and Dreaming’ to mark its 10th anniversary. The re-issue will feature stunning artwork by Brian Mitchell, thereby giving the album a new lease of life with the striking imagery. Initially the re-issue will be limited to 100 copies with an elegantly illustrated lyric booklet. Despite the album being 10 years old, it’s as though it could have been released yesterday, the sound remaining fresh and the meaning remainsing true no matter how many times you listen to it. Frequent melodic variation, ambiguous tonalities and thought provoking lyrics; The Gift give you a real gift. The re-issue is not the only exciting news that the band have, they have also announced an extended band line-up, including the return of original guitarist Leroy James. This couldn’t have come at a better time considering Leroy and lead vocalist Mike Morton deliberated greatly together in the writing of ‘Awake and Dreaming’. Not only do they welcome the return of Leroy, The Gift also look forward to welcoming 2 new members to the band. This includes drummer Neil Hayman of KONCHORDAT a fellow prog band who are also signed to Bad Elephant Music. The band also welcome Gabriele Baldocci from Italy on keys who is a renowned concert pianist as well as a conductor and Professor of Piano at the Trinity Laban Conservatoire in London. For those who want to listen to the mellow, yet sometimes eerie, sounds of The Gift beyond the headphones, they will be performing at The Boston Music Room in London for “An Evening of Bad Elephant Music” on the 13th February, the first day that the band perform in their new line-up. jh, Tom Slatter and Twice Bitten complete the line up of Bad Elephant artists performing. 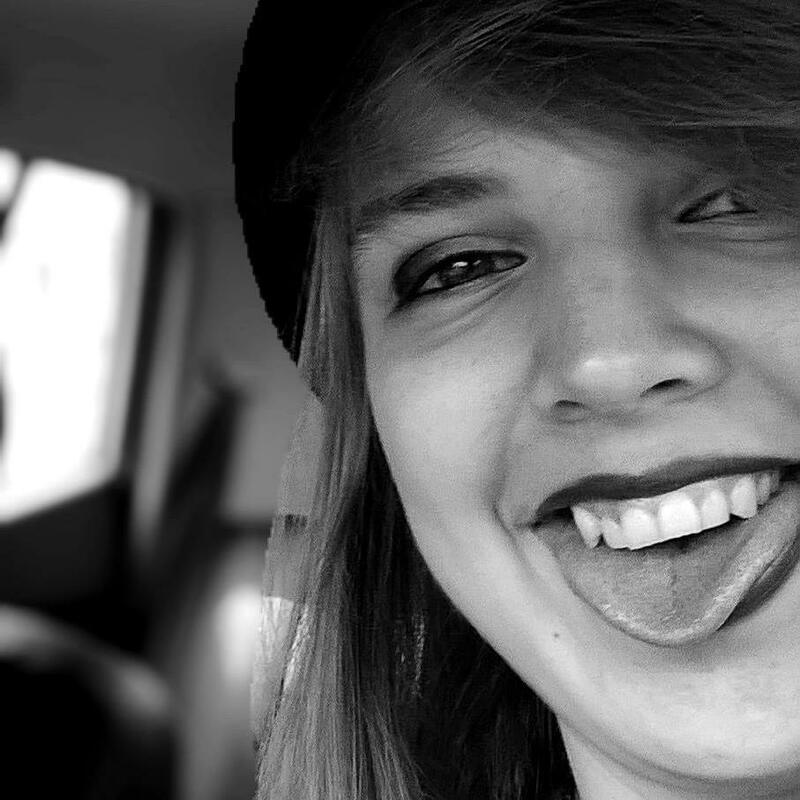 Sabrina is an enthusiastic musician as well as writer. She is currently in her first year of university studying music, delving deeper into the music scene from classical to prog to death metal.